The Trouble with the TPP series now shifts to patent law reforms and the likely costs to the health care system (prior posts include Day 1: US Blocks Balancing Provisions, Day 2: Locking in Digital Locks, Day 3: Copyright Term Extension, Day 4: Copyright Notice and Takedown Rules, Day 5: Rights Holders “Shall” vs. Users “May”, Day 6: Price of Entry). The TPP patent provision changes are very significant since they lock Canada into extending the term of patent protection, which will ultimately increase health care costs. 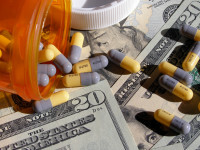 Moreover, global organizations such Doctors Without Borders has warned that the agreement will raise the price of medicines for millions of people, particularly in the developing world. The Conservative government tried to downplay the impact of patent law changes in the TPP, arguing that the agreement is consistent with current law or is “in line with outcomes secured in the Canada – EU Comprehensive Trade and Economic Agreement (CETA)”. The reference to CETA, which comes from the government’s TPP IP summary, represents a neat of sleight of hand. My weekly technology law column (Toronto Star version, homepage version) notes that the submissions stem from a crucial ruling issued by Canada’s telecom regulator in July. 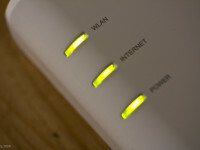 Hoping to foster a more competitive market and having used various “open access” policy measures to give independent Internet providers a chance to compete in the Internet services market, the Canadian Radio-television and Telecommunications Commission (CRTC) decided to extend those rules to fast fibre connection services.